Guest co host Geoff Diehl is back in studio and we talk to him about a variety of things such as Elizabeth Warren going on 'The Late Late Show' with James Corden talking about "nevertheless she persisted" tattoos and what the countries "national crisis'" are to her. Motley Crue is the next in line with a biopic coming out and we ask what is the band you'd like to see featured in one. Then we talk to the now famous "ranch girl" You know, the one ... See More who interrupted Kisten Gillibrand's gathering so she could get some ranch. She was great to talk to. 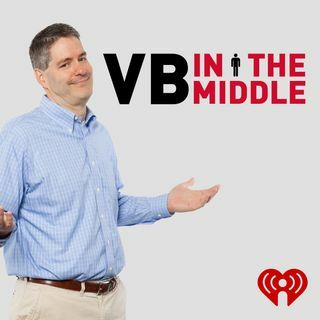 It's all right here on 'VB in the Middle!"